Bangladesh incurred a loss of about Taka 25,000 crore due to fire incidents across the country in the last five years, says the Electronic Safety and Security Association of Bangladesh (ESSAB). Citing the data of the Bangladesh Fire Service & Civil Defence, ESSAB President Motahar Hossain Khan said a total of 19,642 fire incidents took place in the country in 2018, causing an economic loss of Taka 386 crore, killing 130 people and injuring 664 more. "Houses, shops, offices and other establishments are being gutted in towns, including the capital and divisional cities, and even in villages across the country. The loss caused by fires could be minimised after identifying the causes behind the infernos and taking awareness measures," he told a press conference here on Sunday. 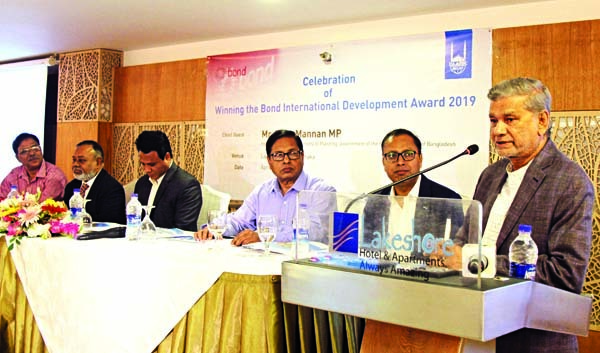 ESSAB organised the press conference at the Jatiya Press Club aiming to present the features of the sixth International Fire Safety and Security Expo-2019 to be held at Bangabandhu International Conference Centre in the city from February 14 to 16. Motahar said fire safety is ensured in the export-oriented industries due to the pressure of buyers, but many private buildings are yet to ensure fire safety. Noting that the construction of high rise buildings in the capital increased by 514 percent in the last 10 years, he said what measures have been taken for fire extinguishing in these buildings is questionable. The ESSAB president urged the authorities concerned to take adequate measures to ensure fire safety measures in all buildings to protect properties and maintain security. As per directives of Prime Minister Sheikh Hasina, digital attendance system is installed in hospitals to ensure presence of doctors, he said, adding the directives of the Prime Minister mean that it is quite impossible to ensure accountability without the introduction of digital security system. Director general of Bangladesh Fire Service & Civil Defence Brigadier General Ali Ahmed Khan and convener of the expo and ESSAB joint secretary M Mahmudur Rashid were, among others, present at the press conference. Prime Minister Sheikh Hasina inaugurated non-stop inter-city train in Rajshahi-Dhaka-Rajshahi route waving flag through video conferencing at Ganobhaban on Thursday. 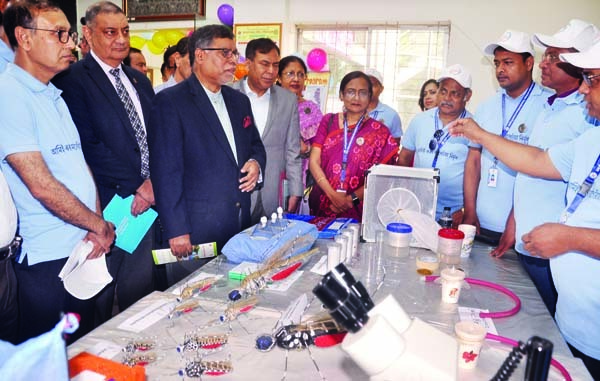 Health Minister Zahid Maleque visited different stalls built for resisting malaria in CIRDAP auditorium in the city on Thursday marking World Malaria Day. Faruque Ahmed, Chairman of Bangladesh Council of Scientific and Industrial Research (BCSIR) speaking at a scientific seminar in its IFRD auditorium in the city on Thursday. Members of BCSIR Golam Rabbany ( Development), Abdul Mabood (Admin) and Showkat Ali (Finance) were present, among others, on the occasion.